Commentary from Arizona Solar Center Board Members and invited contributors. While blog entries are initiated by the Solar Center, we welcome dialogue around the posted topics. Your expertise and perspective are highly valued -- so if you haven't logged in and contributed, please do so! The legislative session opened in 2017 with bills that continued to burden solar business with over-regulation and added expense. Several bills choked down the initiative process, another discontinued the solar sales tax exemption that I sponsored a decade ago. AriSEIA worked for the sales tax exemption continuance through the Senate Finance Committee, but our efforts were blocked by Chairman David Farnsworth. AriSEIA has, however, had a number of successes this year. To demonstrate the importance of the AriSEIA voice, one example is HB 2217, that stated solar companies could only charge solar school customers for the energy that they used. We met with the sponsor, Representative Doug Coleman, explained the harsh and unnecessary impacts of this bill on solar industries, to which he responded by stopping the bill from moving forward. AriSEIA is grateful for his understanding of our issues, the resulting help to schools, and Arizona solar industries. AriSEIA has continued our representation in hearings at the AZ Corporation Commission, as well as individual office meetings with the Commissioners. More recently, AriSEIA has been active in the development of the new ACC Interconnection Rules which will continue to be worked on for another expected 6- 8 months. Lastly, AriSEIA is excited about AriSEIA member, Charles Blum who comes to us with extraordinary Washington DC lobbying experience, and who now is representing solar issues on behalf of AriSEIA in Washington DC to Congress members, and in coordination with, strong representation from our national SEIA. “As of November 16, 2017, a Building Safety Permit will no longer be required for any grid-tied Photovoltaic System, Solar Water Heating Systems, including systems with Generators when installed by an Arizona Licensed Contractor.” This new policy change eliminates unnecessary regulation, and is great news to Yavapai solar installers!! This October 6th conference focused on Solar as an Arizona economic driver. For example, AriSEIA brought in expert keynote speakers on renewable energy tax exemptions / reductions and their positive effects on the overall Arizona economy. AriSEIA had panelists discussing the utilities of the future and what they would look like, the new interest in Distributed Generation through battery storage and in combination with solar, commercial and community solar, and concluded with a discussion on policies by AZ Representative Clark and Senator Pratt on political strategies and tools, along with helps and hindrances learned from past experience. I attended an exciting meeting brought by Representative Clark and Senator Pratt that adds to the AriSEIA Conference discussion. This meeting began a series of workshops to advance the energy future of Arizona. “The workshop is partnered with the Center for the New Energy Economy, of Colorado State University….This first meeting is to initiate the exchange of ideas and identify the next steps about how Arizona can foster innovation, job creation, and sustainable economic growth, while protecting and modernizing our state’s power grid.” This first meeting also included former Colorado Governor Ritter, known for his interest in sustainable energy production, and in future meetings will hopefully include Arizona Governor Ducey. With Arizona Solar Center, AriSEIA, elected officials, utilities, and environmental organizations all working together on solar and related supportive energy production technologies, we can grow and provide a healthy and viable economic and sustainable Arizona future. 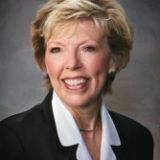 Note: Lucy Mason is Executive Director of the Arizona Solar Energy Industry Association (AriSEIA) and a Board member of the Arizona Solar Center. Board Member- Arizona Solar Center, Inc.